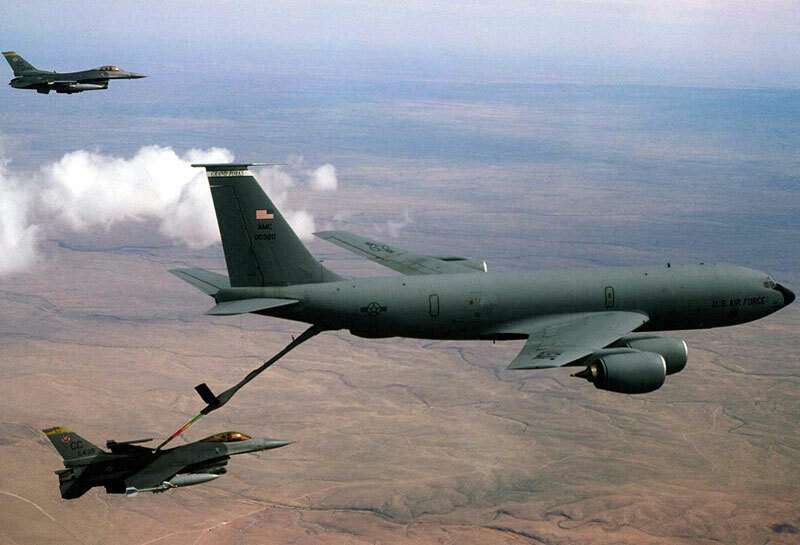 The first refueling flight took place on Tuesday night with a U.S. Air Force KC-135 Stratotanker providing fuel for an F-15 fighter jet operated by Saudi Arabia and an F-16 flown by the United Arab Emirates, spokesman Colonel Steven Warren told reporters. “We will have a tanker sortie every day,” Warren said, adding that all flights will be outside of Yemeni air space. Pentagon had announced plans for aerial refueling earlier and officials say American forces stand ready to fly early warning radar aircraft if necessary. The move signaled an expanding role for the U.S. military as Washington said Tuesday it was stepping up intelligence sharing with the coalition and expediting the delivery of precision-guided bombs to the Saudis and their Gulf allies. But U.S. officials and military officers insisted the American assistance was “limited” and would not escalate with aircraft taking part in any bombing raids in Yemen. President Barack Obama approved intelligence and logistics support for the Saudi-led coalition after Riyadh announced its armed intervention in Yemen. About 12 U.S. military troops are working with the Saudis at a “joint fusion center” in Riyadh, led by a two-star U.S. Marine Corps general, officials said. U.S. Forces, including a helicopter, helped rescue two Saudi pilots on March 26 from the Gulf of Aden after their F-15 fighter suffered engine trouble. Meanwhile, on his two-day visit to Islamabad, Iranian Foreign Minister Mohammad Javad Zarif said on Wednesday that Pakistan and Iran should cooperate to solve the deepening crisis in war-ravaged Yemen. Pakistan and Saudi Arabia are both currently holding a live-fire military exercise. On Wednesday, a media official said one soldier was killed and three others wounded during the drill. The Saudi Press Agency (SPA) report did not specify which country the casualties were from. The incident occurred as Pakistan debates whether or not to join a Saudi-led coalition battling Shiite rebels in neighboring Yemen.